Hello, Rise Up Readers! It’s me, Cory I’m here for my yearly Falcons schedule breakdown! This entry was posted in Atlanta Falcons, NFC, NFC South, NFL, Rise Up and tagged Falcons 2018 schedule on April 19, 2018 by corywoodroof47. Hello again, Rise Up Readers! I’m back with the Falcons Fantasy Outlook for Week 15. In most leagues, Week 15 is the second round of the playoffs, so if you’ve made it this far, congrats! Before we discuss this week’s matchup against the Tampa Bay Buccaneers, let’s talk about our recent victory over the division-rival New Orleans Saints. This entry was posted in Atlanta Falcons, NFC South, NFL on December 18, 2017 by Evan Birchfield. Atlanta Falcons fans were treated to a relaxing weekend off this past Sunday, as the team had a mini-bye following their 20-17 win over the Saints on Thursday. However, that didn’t mean there wasn’t a reason to tune in to Sunday’s slate of games. 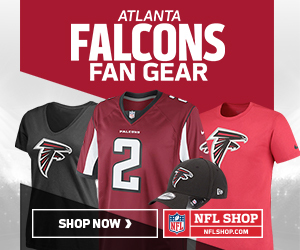 With the Falcons firmly entrenched in the NFC playoff picture, Dirty Bird Nation became fans of other teams, including even a division rival, for just one day in the hopes of making Atlanta’s path to the postseason as clear as possible. Well, things didn’t go exactly as planned and as a result, the NFC is as crowded as it ever has been. This entry was posted in Atlanta Falcons, Carolina Panthers, Falcons, Green Bay Packers, NFC, NFC South, NFL, NFL Playoffs, Rise Up and tagged Atlanta Falcons, Carolina Panthers, Falcons, Falcons playoffs, Football, Matt Karoly, New Orleans Saints, NFL, NFL Playoffs, playoffs, Rise Up Reader, Seattle Seahawks on December 13, 2017 by Matt Karoly. This entry was posted in Atlanta Falcons, Falcons, NFC, NFC South, NFL on December 6, 2017 by Mike Lederle.